It means handsome, right? Maybe he was just bragging. Does Eresh come out in the August mats? No. Parvati is ID 183, Eresh is ID 196. 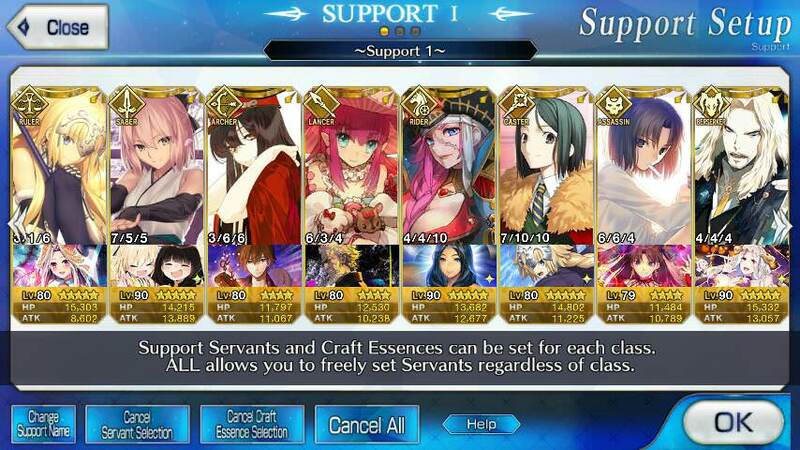 Mats V end with Parvati, Eresh released after her so no. Don't we know about it already? It's a shrine to Dumuzid if I remember it right. Expect Mats 6 to cover from Tomoe to as early as Valkyrie or as late as either Skadi (or whoever is in the part 2 banner of Gotterdammerung) or the upcoming anniversary Servant, which is around 31-33 profiles as usual for each book. I suspect they're just going to cut it off before Cosmos in the Lostbelt. Seems like a nice place to stop, 3 books for part 1 and 2 books for EoR. When was Avenger Amasuka introduced? I'm just wondering if he'll be covered in the sixth book. Shouldn't we already get one for Jeanne? The whole point of Fionn is that he is quite strong even if he is just used in a joke manner. 22k HP Berserker is nothing to scoff at tho. NP gen buff interlude for Serenity when DW, make it happen Arashi I know you like her.